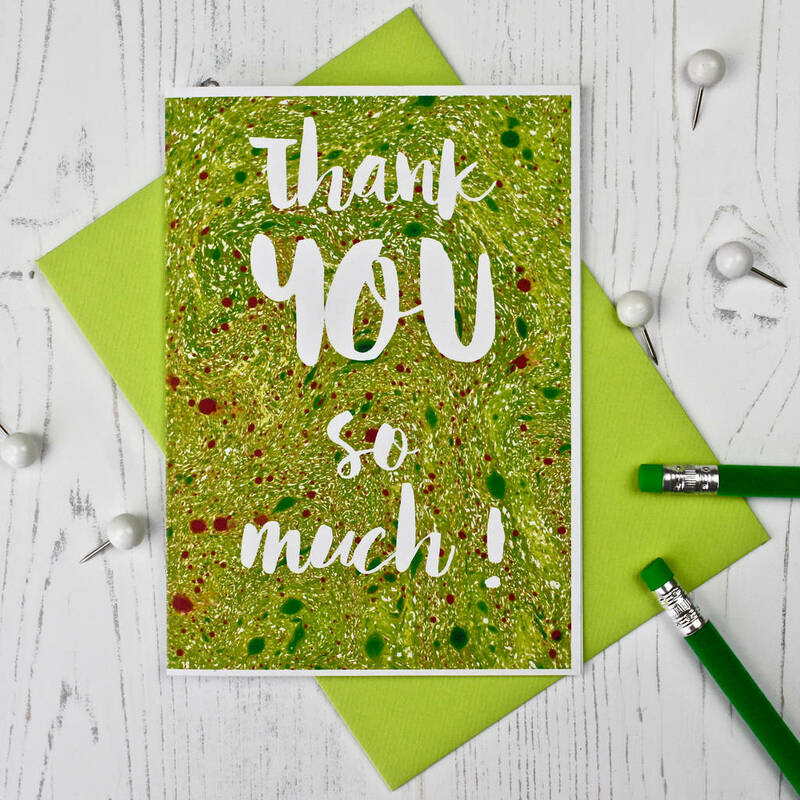 A stylish typography style thank you card with a beautiful green marbled paper patterned background. 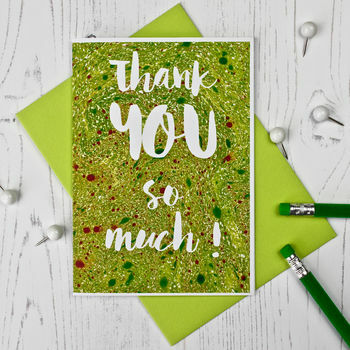 Each of these thank you cards are made to order. Recycled white card and ink.